A new report about Americans and their cars says the driving boom is over. It calculates that the average number of miles driven in the United States has been declining annually for the past several years and will keep dropping. 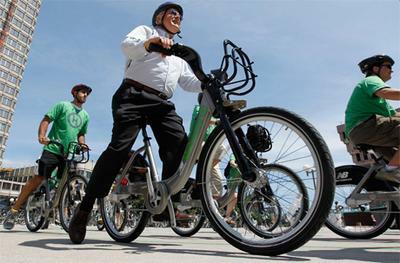 Advocates of alternative transportation say that means that as Massachusetts and other states make decisions about roads versus more bike- and pedestrian-friendly projects, they shouldn't "build projects for tomorrow based on assumptions from yesterday." 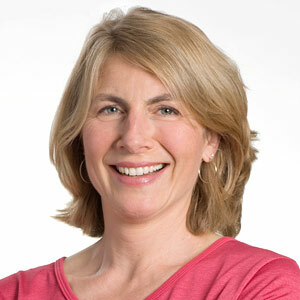 WBUR's All Things Considered host Sacha Pfeiffer spoke about Tuesday's MASSPIRG report (PDF) with the executive director of the nonprofit group WalkBoston, Wendy Landman, who explained what's fueling the shift away from driving. Wendy Landman: One of [the reasons], of course, is cost. The cost of driving has been steadily rising over the years, and now AAA estimates it costs a little bit over $9,000 a year to own and drive a car based on about 15,000 miles of annual driving, so that's a big-ticket item for many, many households. So that's, of course, one of the pieces. Another piece is the shift in the way that both baby boomers and millennials are thinking about how they want to lead their lives. Millennials are actually wanting to drive less, and I think one of the really, really interesting pieces of information in the report is that the percentage of 16- to 24-years-olds in the U.S. who have driver's licenses has been steadily dropping. Sacha Pfeiffer: And why is that? Well, there's no more romance of the open road. As a baby boomer myself, when I was learning to drive, the idea of driving out in the country and even driving around town and not spending a lot of time sitting in traffic was actually something of a reality. As Americans started driving more and more over the years, there's no more open road in the United States. Almost everyone who's driving is driving places that are pretty darn congested. I was just commenting to someone this morning that I often find driving unpleasant because it's just constant red lights, the stop-and-go. Right. Exactly. And I think millennials — that's all they've ever known. So that idea that a car gives you freedom, that's actually not true. What gives you freedom is actually walking down the street, taking a bus, taking a subway, getting someplace without paying a lot of money to park when you get there, without having to pay for that car. So a lot of millennials are choosing not only not to own cars and drive cars, but also to live in places where they can get around on foot and by bicycle and by transit. So if this is the way things are heading, how do you think we need to be thinking differently about designing our city and our state? Well, we have to pay a lot more attention to walking and bicycle ride and transit, which is something where there is enormous public support for. That doesn't mean never using a car, but it means having a choice to not use a car some of the time or, in some cases, much of the time. You can choose to walk, you can choose to ride a bike, you can choose to take transit, take a cab, use a Zipcar, or maybe use your own car. Certainly in Boston and Cambridge there's been a huge push for bike lanes, and there's the Hubway bike share program, but overall how would you assess how the Boston area and the state are doing in terms of transportation other than driving options? We actually have a system that works better for walking and biking than many other parts of the country. Cambridge has the highest walk-to-work mode share in the country and Boston has one of the highest. We also have high transit shares, meaning public transportation, and the bicycle share is also growing. And all of those are giving people choices of ways to get around other than driving in their own car. Are there any pending local projects in the works that you consider bike-friendly or walk-friendly that you really hope come to fruition? In Jamaica Plain, the Casey Overpass is going to come down — it's actually falling apart — but it's going to be replaced not by a big new overpass but by an at-grade street system. And that's actually quite controversial because people are afraid of what it means to put all that traffic on the lower level. It is controversial but we think it's going to be a very good change. Likewise, Rutherford Avenue in Charlestown is going to come back as a city street; the highway underpass is going to come up to grade as a surface street and, again, we think what that's going to do for Sullivan Square and for Charlestown is terrific. Likewise, the Longfellow Bridge, when the reconstruction is done, there's going to be a lot more space for bicycles and pedestrians — not as much space as in our dreams [that] WalkBoston would have liked to see, but a lot more than is there now. You know, in particular with the push for more biking, with that has come a lot of frustration, tension between drivers and bicyclists, and a number of fatalities of bicyclists in the Boston area. How do you think we're doing on the share-the-road front between bikes and cars? We have to think carefully about when we look at the statistics because you can't just look at the numbers; you have to look at the rate. So if we have many, many more people on bicycles, we're going to also see some more bike accidents than we used to see. Basically, the best way to make bicycles and pedestrians safer is to have more bicyclists and more pedestrians. Because they get used to one another, is the theory? Right, they get used to one another. So this is definitely a time of transition here in the Boston area, and one that I think is going to take some years to work out.